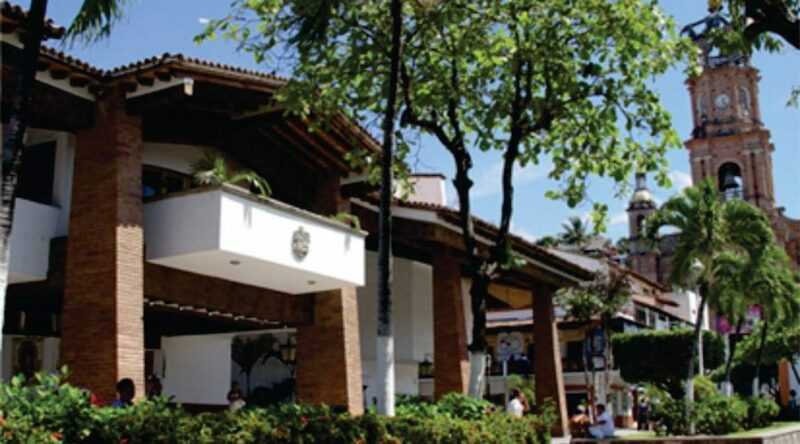 The Municipal Palace of Puerto Vallarta, a fancy word for Townhall, is the work of the architect Alejandro Zohn and was built in 1981. It is located in the center of the city between the streets of Juárez and Independencia. It has a mural, Naif style, depicting the foundation of Puerto Vallarta, painted by Manuel Lepe in 1981.